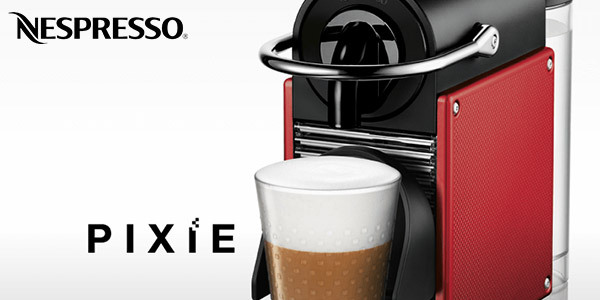 Pixie is the smart model in our range, condensing a wide range of advanced and innovative features in a surprisingly small coffee machine. 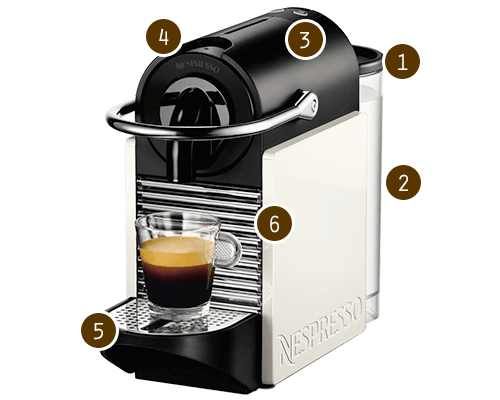 The lever handle allows for easy insertion of your favourite Nespresso Grand Cru coffee capsule and with two programmable espresso and lungo buttons, you will be able to make the perfect coffee in no time. 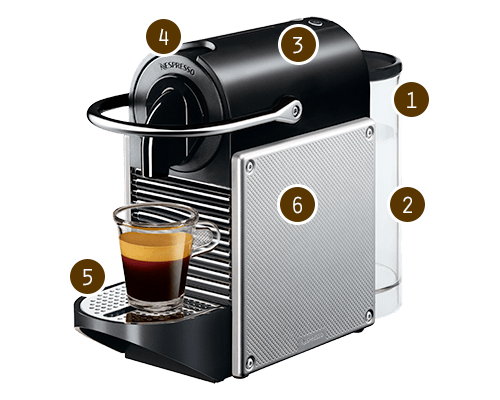 The Pixie has also been fitted with a pivoting drip-tray for those that want a long shot of coffee, which automatically falls back in place once the cup is removed, to avoid dripping on your counter. 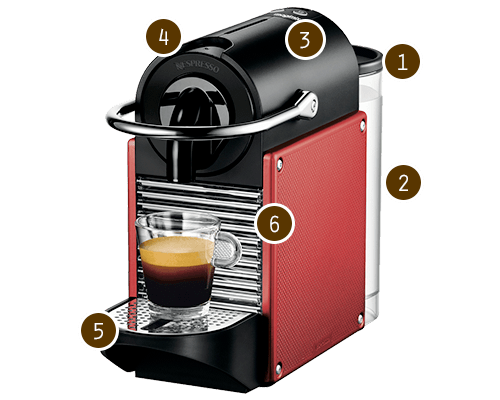 The Aeroccino3 which comes with the Inissia coffee machine gives you the benefit of being able to create your favourite milk-based coffee recipes. Equipped with two whisks, you can easily produce the perfect amount of velvety froth for your cappuccino and latte macchiato coffees. Another unique feature of the Pixie is the new compact heating element, meaning that the machine needs a third less descaling - proving to be invaluable for those who want a machine with less fuss.